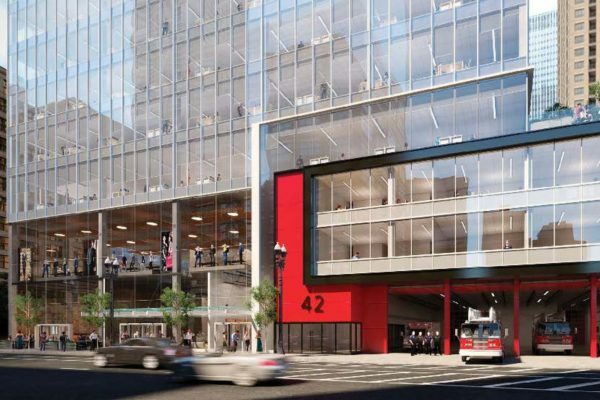 The City of Chicago took the wraps off of a proposal to replace River North’s Engine Co. 42 fire house at the southwest corner of Illinois and Dearborn with a new state-of-the-art facility topped by a new mixed-use high-rise. Much like the city’s plan to combine public libraries with affordable housing in new developments slated for Chicago’s West Ridge, Little Italy, and Irving Park neighborhoods, the River North plan would be a partnership that brings together both civic and private interests. As proposed, the existing fire house at 55 W. Illinois Street would be replaced with a $20.2 million station financed by local developer Friedman Properties. When completed, the old structure would be demolished and replaced by up to 614,000 square feet of office and mixed-use space in a new tower designed by Chicago architecture firm DLR Group. While a Memorandum of Understanding (MOU) between Friedman and the City of Chicago shows a grainy image of the glassy skyscraper, it’s been communicated that the building’s final design is still being refined. The city is also entertaining alternative bids from other potential development partners for a 30-day period from the time the terms of the Friedman deal are posted online. As it stands now, Friedman would pay the city $5 million to acquire the current firehouse site and an adjacent alley to build the tower. The parcel is currently zoned DX-7 Downtown Mixed-Use and could see the developer pay as much as $10 million into Chicago’s Neighborhood Opportunity Bonus system for additional zoning rights. Under that system, the funds would then be redistributed to projects in areas of the city that currently see little investment. So far no approvals for the project have been granted and it will need to go through the traditional channels such as community outreach meetings and a trip before the Chicago Plan Commission and City Council. According to an official release, the city expects to receive roughly $4.4 million in new annual real estate taxes from the development. Developer Albert Friedman would build a new River North firehouse for the Chicago Fire Department topped by a big office and mixed-use tower under a deal he just reached with city officials. Friedman plans the 614,000-square-foot project immediately west of the existing Engine Co. 42 station at 55 W. Illinois St., which would be replaced, according to a statement from the city. The deal represents an unusual private-public partnership that gives the city what it wants—a new state-of-the-art firehouse, paid for by Friedman—and the Chicago developer what he wants, a big business opportunity. One of the largest landlords in River North, Friedman led a joint venture that built a three-hotel, 657-room project just north of the fire station a few years ago. Designed by Chicago-based architecture firm DLR Group, the new tower would add to the growing forest of high-rises in River North, where apartment developers have been especially busy amid a hot market for rental housing. But demand for office space in River North is strong too, and Friedman doesn’t face as much competition for office tenants there as he would for apartment dwellers. Friedman, chairman and CEO of Friedman Properties, was out of town and unavailable for comment, according to a spokesman. Friedman and the city have signed a memorandum of understanding covering the project, and the city will consider competing proposals for the site from other developers for a 30-day period. Under his deal with the city, Friedman would build and pay for the new $20.2 million fire house and pay the city $5 million for the existing firehouse, which opened in 1968 and would be torn down, according to the city’s statement. Friedman has agreed to contribute $10 million to the city’s Neighborhood Opportunity Bonus program, a fund that developers pay into to receive zoning changes from the city, which uses the money to pay for neighborhood development, the statement said. The city has agreed to negotiate a redevelopment agreement with Friedman for the project, according to the memorandum. “This project has the potential to be a unique partnership that could enhance a prime development location while providing a new home for Chicago’s bravest,” downtown Ald. Brendan Reilly, 42nd, said in the city’s statement. In addition to the three-hotel project at Illinois and Clark streets, Friedman’s River North holdings include the SpringHill Suites/Residence Inn at 410 N. Dearborn, the Medinah Temple, at 600 N. Wabash Ave., and the Reid Murdoch Center, a vintage office building at 325 N. LaSalle St.
Friedman also plans a 500-room hotel just north of the Reid Murdoch property and is a partner in an eight-story hotel under construction at 530 N. LaSalle St. that is believed to be a Moxy Hotel by Marriott. 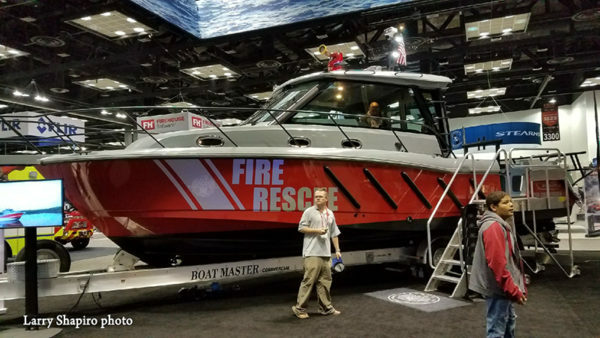 The Chicago Fire Department is taking delivery of a new fast boat built by Brunswick. 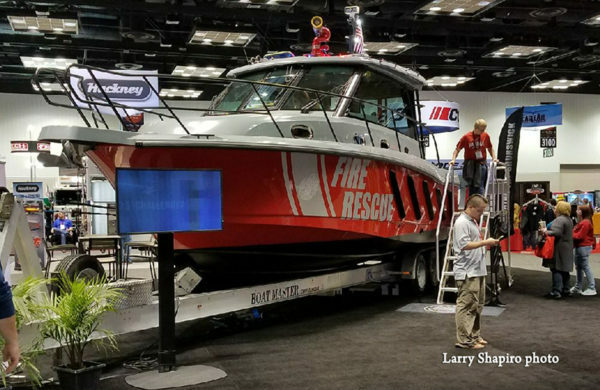 The boat was displayed this week at the FDIC in Indianapolis and should be in Chicago at the beginning of next week. 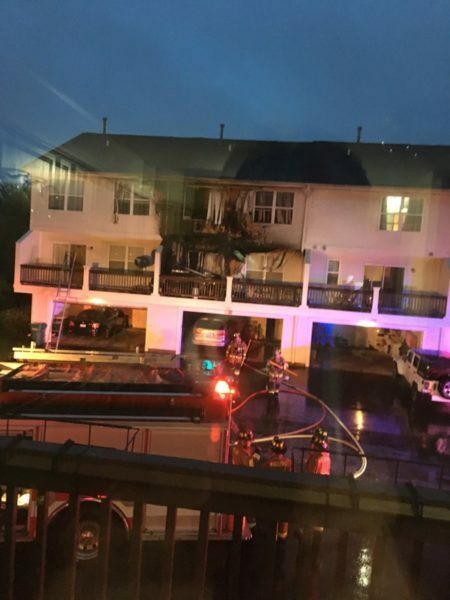 Wheeling firefighters were dispatched for a working fire Saturday evening at 728 River Walk Drive. 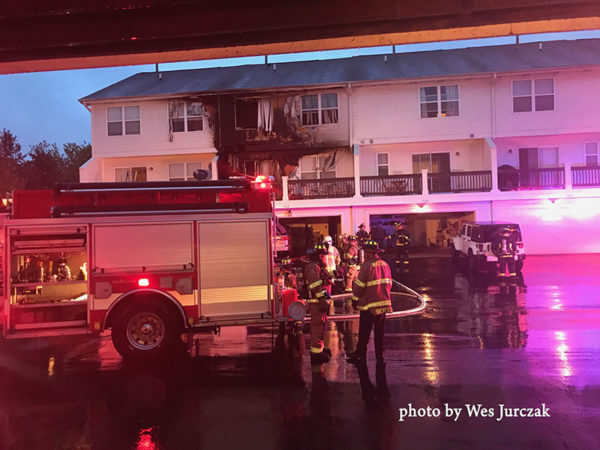 A neighbor called to report fire on the outside deck of a unit across the communal driveway that appeared to originate from a propane grill and was extending from the second floor deck to the third floor. 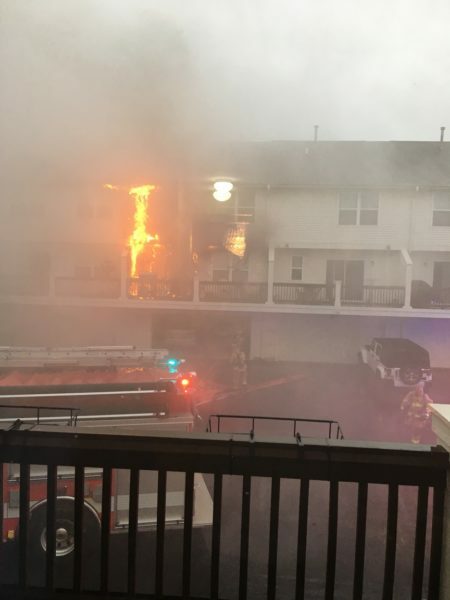 A Wheeling police officer evacuated the resident and firefighters made a quick initial hit with an exterior line that knocked down the bulk of the fire within minutes. 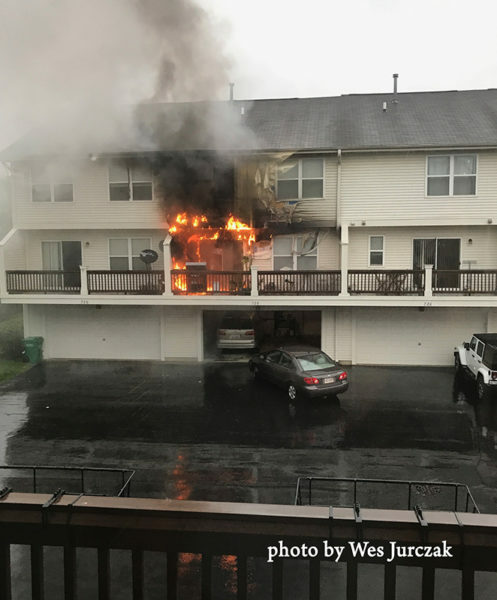 Companies entered the unit to extinguish fire that had spread to the interior and stopped the fire from entering and taking hold of the attic space. Units from Mt. 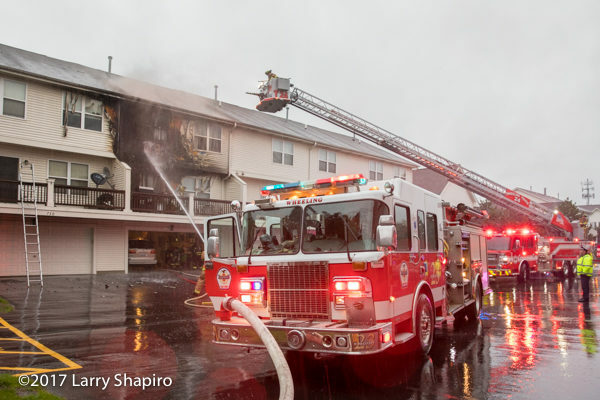 Prospect, Northbrook, and Arlington Heights assisted the Wheeling companies at the scene. 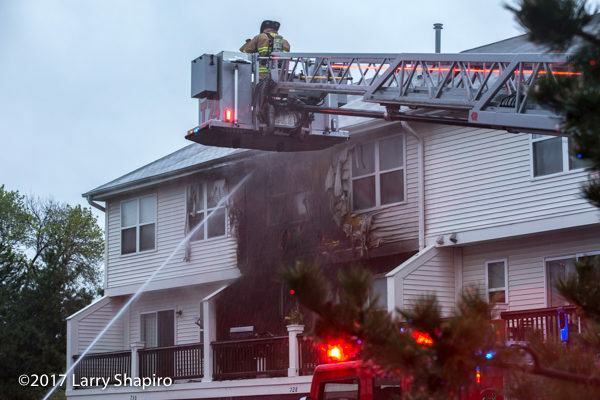 Photos and videos are from Wes Jurczak and Larry Shapiro. 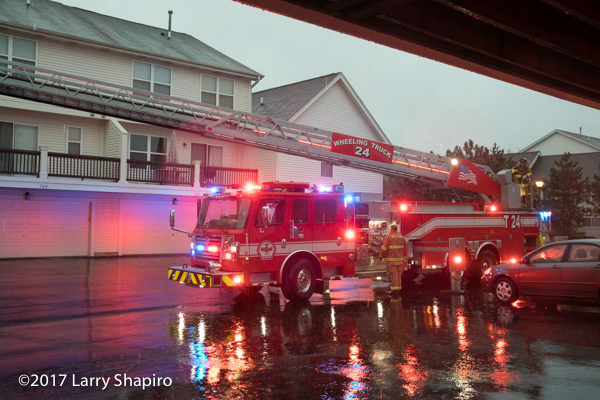 Charles LaGreco, a Brookfield firefighter for 32 years and the department’s chief for 11, died April 22 at his home in Naperville. News of LaGreco’s death was announced by President Kit Ketchmark at the start of the April 24 meeting of the village board. Those in attendance at the meeting observed a moment of silence in memory of Mr. LaGreco, who was 70 years old. Mr. LaGreco came to firefighting as a second career, signing on in Brookfield in 1973 after five years as an industrial arts teacher in Cicero. 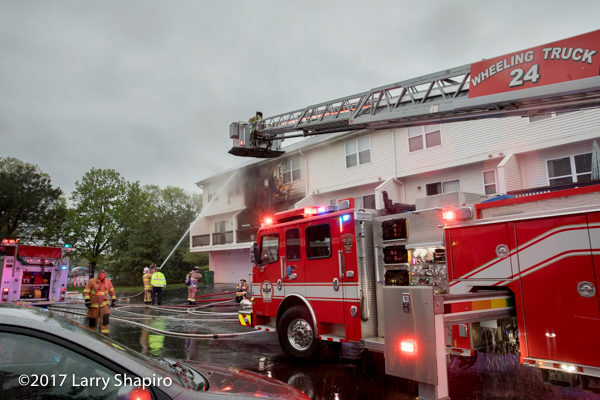 And for many of his years with the village, Mr. LaGreco pulled double duty as a firefighter and chief building inspector. But he never really gave up teaching. He moved his classroom to the firehouse, but he served as an instructor for new firefighters, making sure their training was up to snuff. 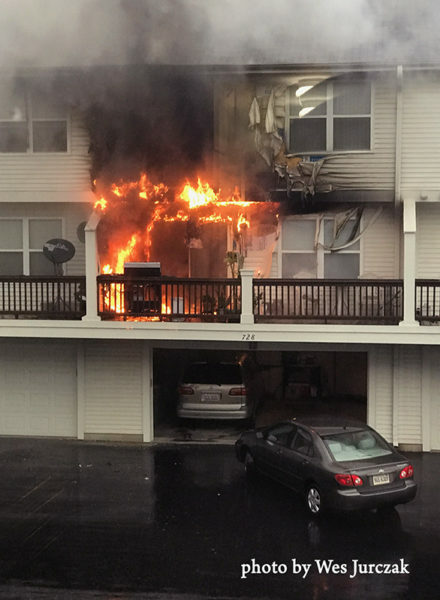 “He carried that education background into the fire service,” said Capt. Edward Bermann, who signed on as a paid-on-call firefighter in 1975 and worked alongside Mr. LaGreco until the chief’s retirement in 2005. When Patrick Lenzi was named chief, succeeding Mr. LaGreco, the new chief said he spent an hour on the phone with his predecessor, who preached public service and communication. “His message was to learn, to teach and to communicate,” Lenzi said. Mr. LaGreco, who lived in Brookfield and LaGrange Park from 1975 to 2006, talked about the importance of training during a 2005 interview with the Landmark. “I wanted training to be a major issue for all personnel, and I wanted them to have the freedom to attend job-related schools to allow them to become stronger members of the organization,” Mr. LaGreco said. The Brookfield Fire Department was very different in 1973, when Mr. LaGreco was hired, than it is today. Mr. LaGreco had a lot to do with that change. Early on in his career in Brookfield, Mr. LaGreco was part of the first-ever emergency medical technician class offered in Illinois and he maintained that certification until he retired. In an interview with the Landmark upon his retirement, he noted that he’d delivered seven babies as a firefighter, the first on a snowy night in the 1970s, alongside John Johnson, who was a paid-on-call firefighter at that time. 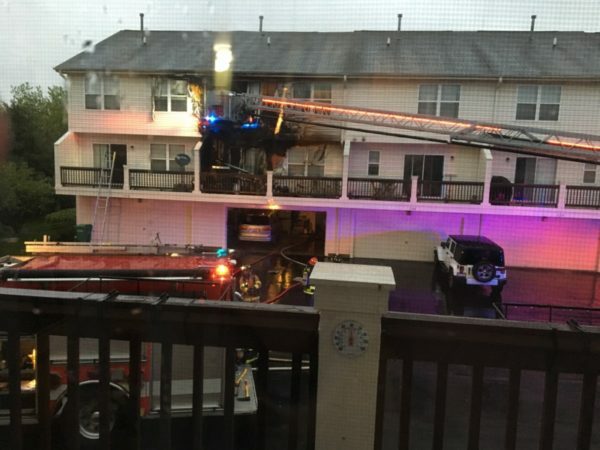 Mr. LaGreco, was also instrumental in moving Brookfield from EMT service to paramedic service in the mid-1990s and, according to Bermann, was also a proponent of replacing the contract paramedic service the village employed from 1995 to 2003, with in-house staff firefighter paramedics. From 1981 to 1994, Mr. LaGreco worked as the village’s building inspector in addition to his role within the fire department. Prior to becoming a teacher, Mr. LaGreco worked construction during summers in Oak Brook and, according to Lenzi, he had a particular affinity for the job of inspector. Mr. LaGreco is survived by his wife, Cynthia J. LaGreco (nee Ceretto); his children, Dana (Mike) Umbenhower and Ryan LaGreco; and his grandchildren, Anna and Dylan Umbenhower. Visitation will be on Saturday, May 13 from 1 p.m. until the time of a 4 p.m. memorial service at Johnson Funeral Home, 3847 Prairie Ave. in Brookfield. Memorial donations are appreciated to St. Jude Children’s Research Hospital, P.O. Box 1000, Dept. 142, Memphis, Tennessee, 38101-9908. Ten emergency dispatchers with more than 125 years of combined experience were honored by the city of Woodstock April 18, several weeks before the Woodstock Police Department’s telecommunications division closes. The WPD’s emergency dispatch center will end operations May 1 when it becomes part of the Northeast Regional Communications Center, or NERCOM. Calls to 911 from Woodstock will be routed through NERCOM, based in McHenry. “There have been so many unsung heroes that have been a part of the Woodstock PD communications center,” Police Chief John Lieb said during a ceremony at a Woodstock City Council meeting. The change comes in response to a mandate from the state of Illinois, which ordered McHenry County’s six emergency dispatch centers be combined into three as part of a push to consolidate government services. Amy McKendry would have celebrated her 16th year as a dispatcher with the department in July. 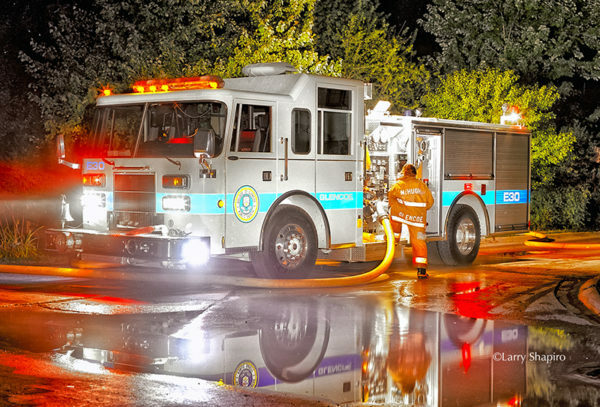 She said working in Woodstock gave her an advantage when dealing with emergency calls. Grant Havens will be joining McKendry at the new dispatch center. In the long run, joining NERCOM is expected to save money for the city of Woodstock and most of the other jurisdictions that consolidate. 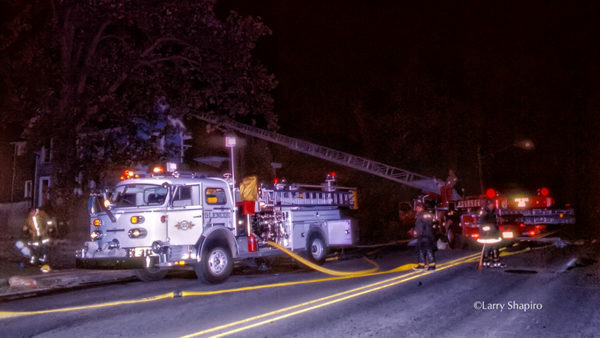 In 2016, the city spent about $773,000 on dispatch center operations, with the Woodstock Fire/Rescue District kicking in an additional $84,000 for handling its calls. Yearly expenditures for the city are expected to drop to about $500,000 once NERCOM is up and running, according to city council documents, but it will be more expensive in its first year — the city expects to pay an extra $100,000 on things such as new equipment and employee severance. 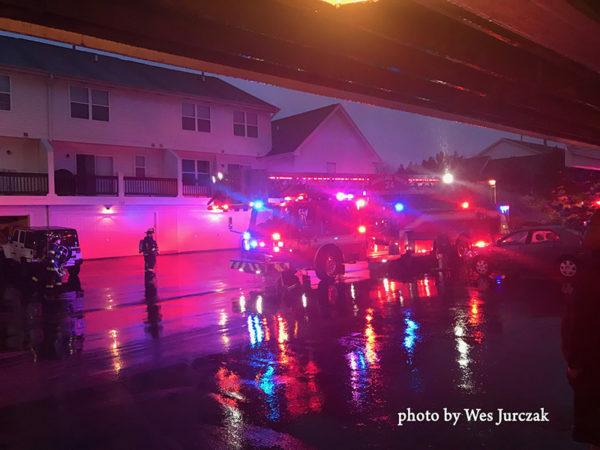 For WFRD, NERCOM will cost more. The fire district will pay about $120,000 annually for its services, an increase of $36,000 a year. Woodstock will cover WFRD’s added expenses for the first five years of the deal. 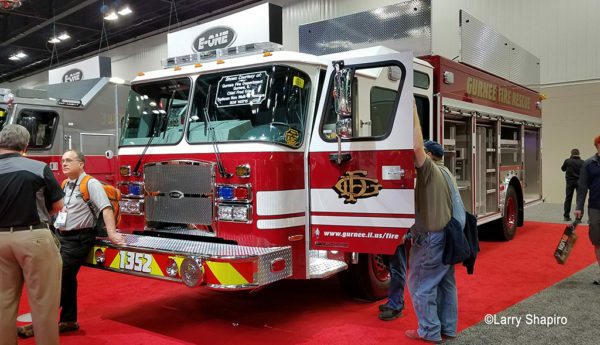 I found two units from Chicago area fire departments on display at this year’s FDIC. 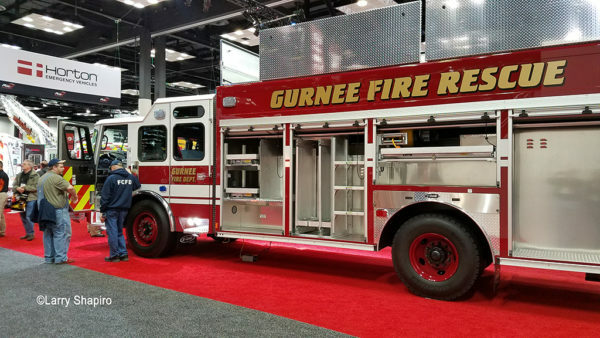 The new Gurnee squad displayed by E-ONE in the REV Group booth. 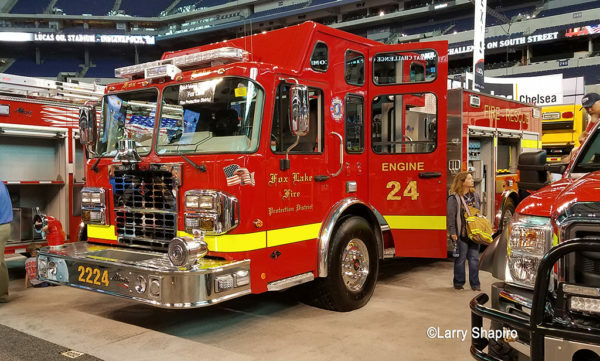 The Fox Lake FPD engine is i the Alexis booth in the Lucas Oil Stadium. 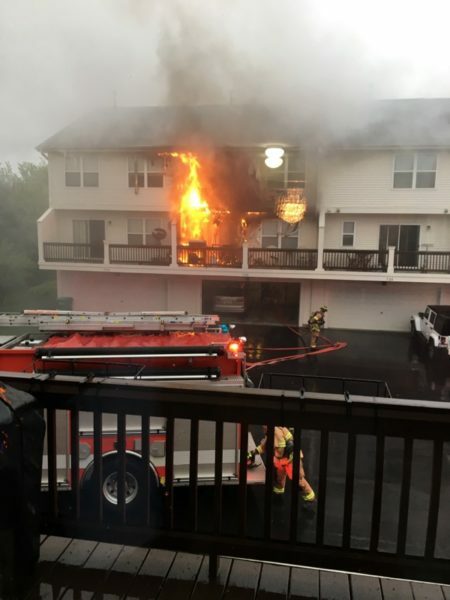 The Lisle-Woodridge Fire District board of trustees on Tuesday gave final approval for an automatic response agreement with the neighboring Darien-Woodridge Fire Protection District. The pact takes effect Monday and will go through a trial period that ends Dec. 31, 2018. “We believe it’s a positive move for both districts, and we think it’s a positive move for anyone needing services in either district. We will be functioning as one big unit instead of two separate units on the street. 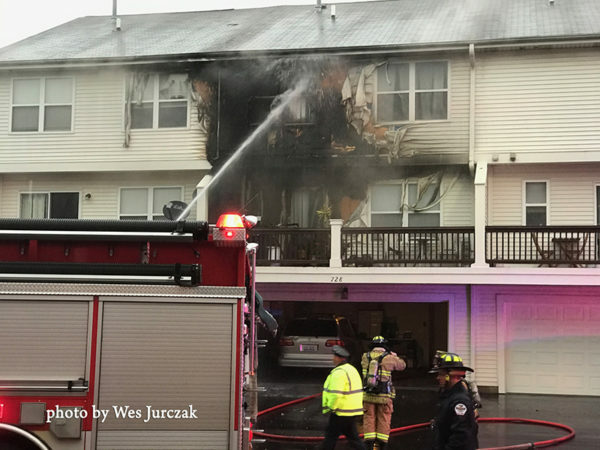 We’re still separate organizations, but operationally, we’ll be functioning as a group.”Lisle-Woodridge Fire Chief Keith Krestan said. Starting Monday, the districts will share equipment and personnel and use seven fire stations. One existing station — Darien-Woodridge Station 88 at the southeast corner of Belmont Road and 59th Street — will be closed. 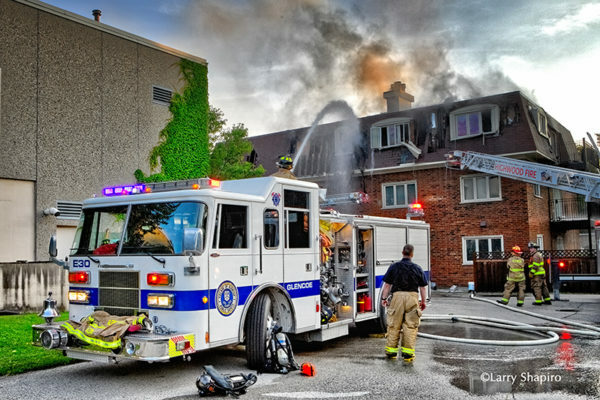 The intergovernmental agreement is the culmination of discussions that began in January 2016 when the Illinois Fire Chiefs Association completed a consolidation study of the districts. The study was commissioned by the Associated Fire Fighters of Illinois. 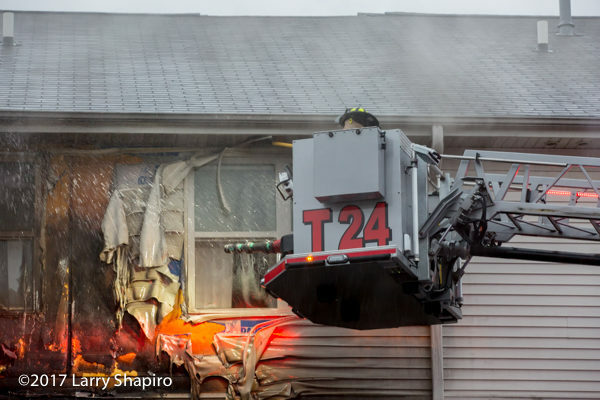 The study concluded that an operational consolidation of the fire protection districts should occur and that consolidation would benefit both entities. 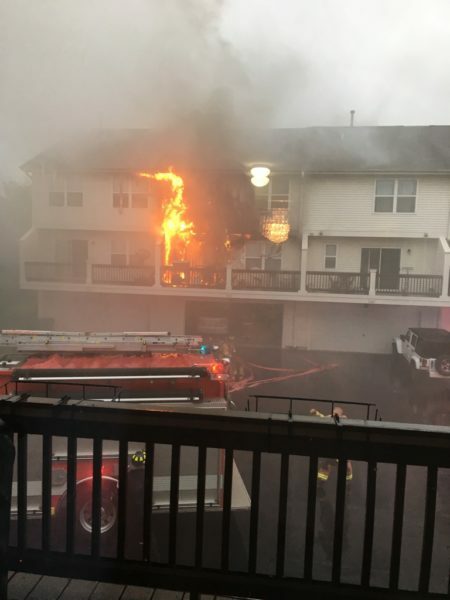 Tim Capua, president of the union that represents Lisle-Woodridge’s firefighters, said there have been two failed attempts to consolidate the districts since the mid-1990s. 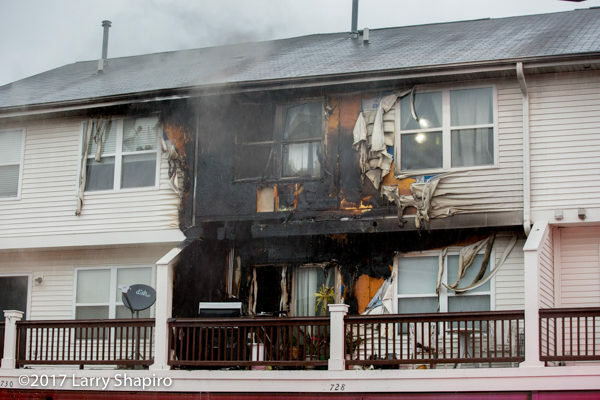 Still, firefighters wanted to have the study done. Despite the findings, officials decided that seeking consolidation at this time would be a daunting task. So they chose to pursue a plan of functional cooperation. 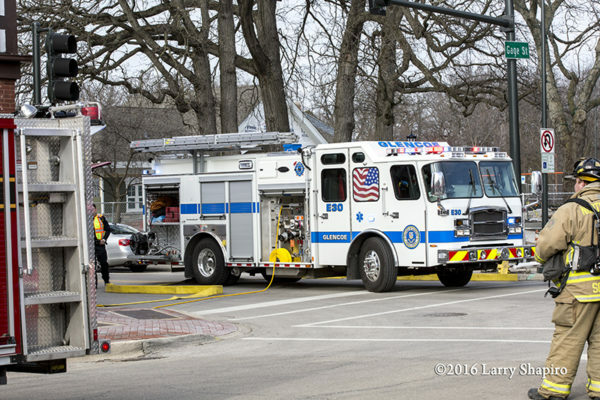 Lisle-Woodridge and Darien-Woodridge also are expected to save money on overtime costs. In May alone, Lisle-Woodridge is projected to see a 40 percent reduction in overtime. Officials said the arrangement could lead to other cost-saving moves related to joint purchasing, training, IT services and vehicle maintenance. Lisle-Woodridge and Darien-Woodridge officials will decide by December 2018 whether to continue the arrangement. In the meantime, other departments will be watching to see how it works. 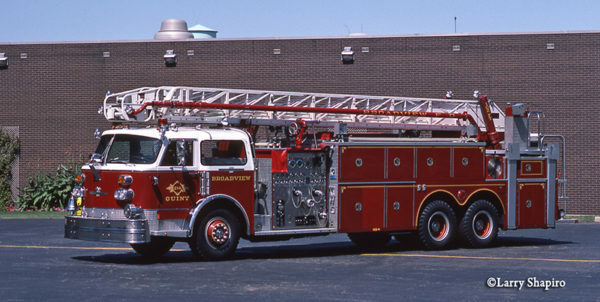 While digging through some old images, I came across these three shots spanning thirty years or more of Glencoe engines at fire scenes.